Part two continues on the topic of digital certificates. One of the keys is private and the other is public. But, how does this work on the Internet for transactions? Trust is a tricky thing. That is why we have certificate authorities. There are different formats for certificates. X.509 is perhaps the most popular. RFC5280 covers the specifics of the X.509 certificate definition. To see the raw certificate data, Wikipedia has examples. Public keys can come in different sizes and typically the bigger sizes are much harder to crack. The default is usually 1024 bit (128 bytes) but lately it is recommended to have a 2048 bit public key (256 bytes). Certificate authorities are only in the business of verifying the owners of public keys. They do not generate the key pair (public and private) and only help to embed the public key in the certificate. Private keys are never transferred unless the owner intends to export the key to another location. With web browsers, it is incredibly important to be trusted by a CA. Otherwise SSL will fail and you will be unable to secure trusted communication for the sake of privacy or business transactions. And, becoming a certificate authority is a difficult process. CAs must go through annual audits (WebTrust) to be included in the web browser trusted list. The top three CAs (VeriSign, GoDaddy, and Comodo) have 86% of the certificate business. This Wikipedia diagram shows the creation and use of certificates. The idea of Certificate Signing Request is introduced as part of getting the CA to sign the certificate request. If you happen to be interested in the math of how PKI works, Wikipedia, as usual, has a good key exchange explanation. This covers the basics of what certificates are all about. Further posts will cover more specialized areas. 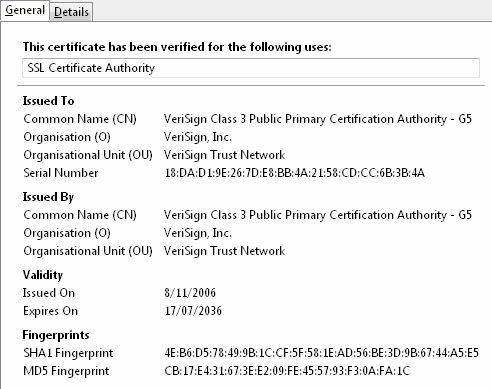 1) Who is checking for cert validity in Windows ? 2) What is cert validity state in case when root CA (or user comp) is off-line ? This was not an easy question to answer so I put it into the background tasks and unfortunately forgot about it. Sorry. 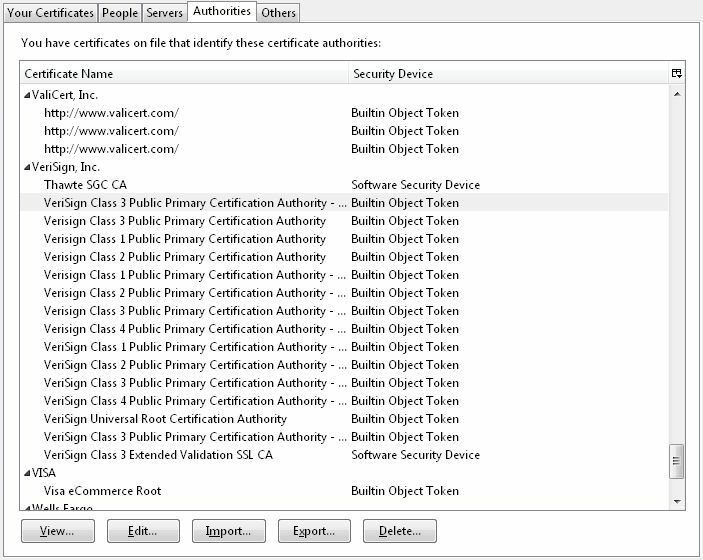 The easy answer is that the certificates need to be managed/verified by the software that wants to use them. For example, Internet Explorer needs to worry about certificates for all HTTPS transactions. It uses CryptoAPI to prove that the certificates are good. Check out this IE6 documentation. This sort of makes sense but it seems to put too much pressure on the implementor. The root CA certificates in Windows are supposed to be fine for everyone. Some of the companies have been bought by others and some have gone out of business. In theory this is fine too as long as the private keys are protected. The expiry of the certificates makes sure that any mistake does not last forever. You can see the actual CryptoAPI Cert functions at Microsoft. Most of this is designed to work great offline. The only catch is coming across a multilevel chain between the certificate and the root CA certificate. The rule looks to be that it will automatically insert the intermediate CAs from certificates which are downloaded. There must be a field in the certificates that allows for URL specification of the parent certificate. I have only seen this a couple of times. There are bigger lists of root CAs that you can install from Microsoft. This looks to be a way to trust more things, especially government root CAs. Here is a Microsoft link about trusted root. It makes sense that certificates would work fine with IE even if it does not have all the intermediate CAs. It is in the business of downloading content so it would be online and able to pull down the missing certificates. This would not necessarily true for other applications.